Nowadays news about international development on Iran is viewed on the whole by political observers as, against the mullahs regime and in favor of the people of Iran and the Iranian opposition (NCRI). As Hassan Rouhani, the mullahs regime’s president has admitted this change of regime’s status quo has been launched since Iran’s nationwide uprising in more than 142 cities that started at the end of Dec. 2017 and continued throughout the winter of 2018, followed by everyday protests up until now. The uprising which was first ignited by economic demands swiftly changed phase to the demand of regime change in its entirety and its replacement with a secular and democratic government. But this rightful demand will not be achieved only by overthrowing the regime in Iran. To fulfill such demand Iranian people are in need of a force that would truly represent them and has the power to bring such a demand into reality. This potential is embedded in the Iranian opposition (NCRI), which guarantees a democratic future in Iran. The Iranian opposition (NCRI): a political movement or a democratic alternative? The Iranian people deny this regime in its entirety, thus its alternative should not be sought from within. What should this alternative’s attributes be? This alternative not only must have a specific program for Iran’s future but it should also have the power to overthrow this regime. This is exactly the distinction between Iran’s opposition, led by Mrs. Maryam Rajavi and the other forces that identify themselves as the opposition to this regime. Her name frightens the mullahs regime. Her messages and images are posted on the walls of the cities and distributed everywhere by the resistance units (MEK network inside the country). The MEK is the largest and most organized opposition of the Iranian regime. The current state of the clerical regime, on the international stage, is a product of four decades of sustained disclosures and ongoing efforts by the Iranian resistance and the MEK network inside the country. PMOI neutralized the atomic project of the mullahs regime by disclosing it in 2002. It revealed its violation of human rights which resulted in 65 condemnation of this regime at the United Nations. The exposure of the regime’s crimes by the MEK network inside the country resulted in Amnesty International naming this year as the “Shame year” for the regime. It was the Iranian opposition who was the pioneer in disclosing mullahs regime’s terrorist acts, which are the threat to international peace and security, and alarmed the world for the last four decades about the appearance of this new danger. 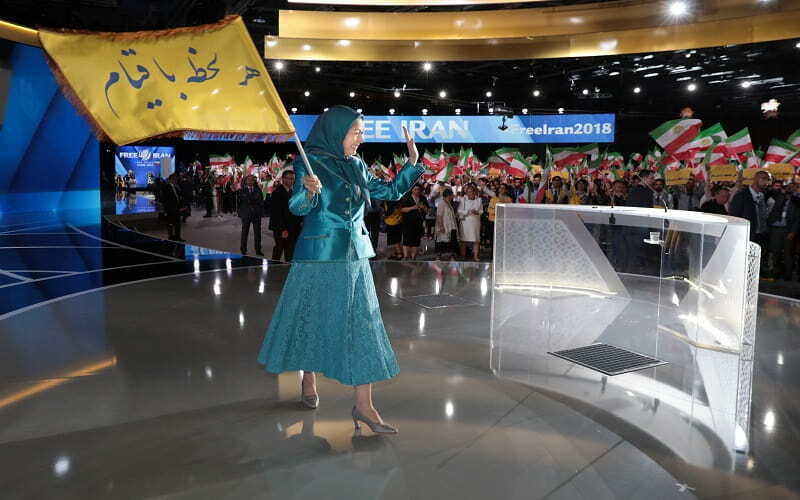 MEK is the pivotal force of the Iranian opposition. The fact that the clerical regime has executed 120,000 of its members and supporters, thirty thousand of them in just one summer (1988), for not defying their organization is proof enough. This key role is manifested today inside Iran by the members of the MEK Network (the resistance units). They lead the uprisings and give courage to others to express their demand of regime change in anti-regime slogans. On Tuesday, August 28, 2018, the Baharestaneh site wrote: At the moment, the main factor in terms of December 2017 unrest (uprising)is its formation. They have created teams called resistance units that have the power to multiply and the potential of replacing leaders in the scene.